The 2015 Audi A8 is the German automaker's flagship sedan, meant to take on luxury liners like the Mercedes-Benz S-Class, BMW 7 Series and Lexus LS. The A8 stands out with Audi's vaunted all-wheel-drive system and a variety of engines that includes a diesel rated up to 36 mpg. For executives craving searing performance, the S8 has much to love. It's a great family car because it has a pretty large trunk for a car of It's type, and it has 4 comfortable seats (5 if you count the middle backseat). It's a very nice black car with a black leather interior. It has a lot of room and the seats are super comfortable. The mileage per gallon and electronic dashboard is also good, but I do wish the roof was a bit higher because I am a taller person. Overall, I am very happy with my car. What I like about my car is that it has a nice sleek interior and the outside looks very nice. these make the car very pleasing to look at. what i don't like about is that the ac in the car is difficult to use. The Audi A8 is one of my favorite vehicles just to drive because it is just such a smooth ride. 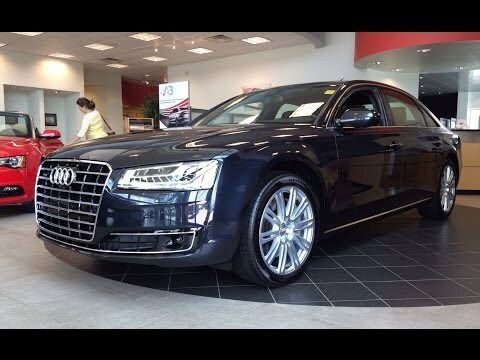 The looks are also amazing, and overall I would totally recommend you an Audi A8 no matter the year.